The first thought when looking at putting floors in a bedroom is often one of comfort. You want a floor that is going to feel good underfoot first thing in the morning and after a long, tiring day. The second thought? Price. We all want to get the best floor for our budget. How can you stretch those dollars and still find the comfortable bedroom floor you're seeking? Let's look at some budget-friendly bedroom floor choices. 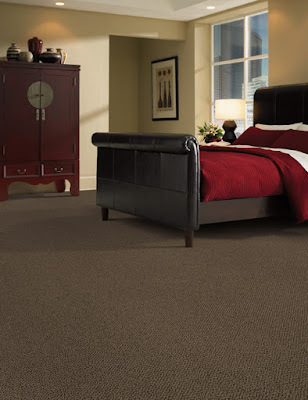 There's no denying that carpet is one of the most affordable flooring options on the market. It's warm and comfortable. You can choose a plush, velvety carpet for a quiet bedroom. Or a more durable cut and loop style carpet for a busier child's bedroom. Carpet comes in every color imaginable so no matter what your style, you're sure to find a match. It just makes sense to look at carpet for your bedroom. More about carpet. You might be surprised to see this on the list of affordable floor options but today's wood flooring options are so varied that you can find a wood floor to fit nearly any price point. 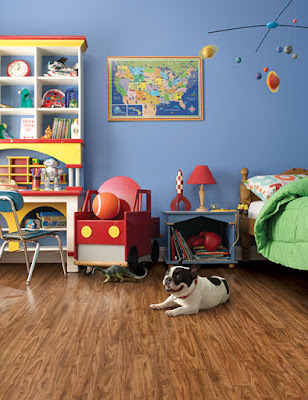 The most budget-friendly wood floor options are likely to be found in the laminate wood section. Laminate wood is made with lower cost materials but topped with a veneer that makes it look just like pricier hardwoods. As an added bonus, laminate wood floors are also a bit more durable than some hardwood floors. Wood floors are also an excellent choice for the bedroom of someone with allergies. Wood floors don't trap dust and dust mites like carpet and are easy to keep clean. More about wood floors. Kermans Flooring Store has built a strong reputation with the community and with flooring suppliers over our decades in business. Our reputation allows us to bring our customers exceptional choices and value. You might think that shopping in a "big box" store will give you the lowest price flooring. We invite you to stop by Kermans showroom on the northside of Indianapolis and do some cost comparisons. Our wide variety of choices, expert installation, and free design service combined with our ability to give excellent pricing means a better choice for Indianapolis homes. Learn more about the Kermans Advantage.